How to transfer your property? Transferring your property in someone else’s name is a time consuming and often harrowing experience. You have to be very careful while getting into such a deed and you must appoint a lawyer to be on a safer side. Instruments like a gift deed or relinquishment deed are viable options especially in case of an internal transfer (between you and your relatives). However, you should carefully examine both the deeds before coming on to any conclusion. A gift deed is a deed in which the consideration is not monetary, but is made out of love and affection. 1. In case of immovable property, you just have to draft the document on a stamp paper, have it attested by two witnesses and get it registered. 2. Registering a gift deed with the sub-registrar of assurances is mandatory as per Section 17 of the Registration Act, 1908. 3. In case of movable property like jewellery, registration is not compulsory. Apart from physically handing over the property, you need to endorse it with a gift deed. 4. Fill the share transfer form and submit it to the company or registrar and the transfer agent of the firm. Get a gift deed drawn and executed to complete the transfer (the document need not be registered). Advantages: There is no tax implication if you are gifting property to your relatives. In case of a non-relative the stamp duty will be higher. Following is the stamp duty applicable when a property is gifted. Disadvantages: A gift deed can be challenged in court on various grounds like coercion, fraud or donor turns out to be a minor. So, if you have been hoaxed into gifting property, you can right away take the matter to court and have the transfer reversed. Note: Once the property is gifted, it belongs to the beneficiary. You cannot reverse the transfer or even ask for financial compensation. You can use this instrument if you want to transfer your rights of a particular property to another co-owner. Such a transfer is indelible even without any exchange of money. 1. In a relinquishment deed all the documents related to the transfer should be signed by both the parties followed by a legal registration. 2. 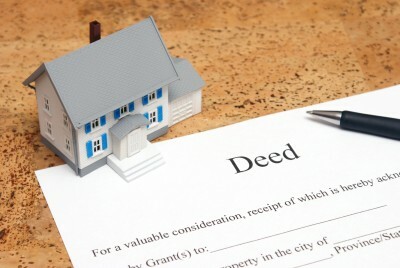 The stamp duty is similar to that of a gift deed. 3. Both stamp duty and tax will be applicable only on the portion of the property that you relinquish, not on its total value. Advantages: It allows an easy transfer of your share in a jointly-held property. This document is most commonly used when a person dies without leaving behind a will and all siblings end up inheriting the property. Disadvantages: When you are relinquishing property for monetary consideration, it will result in capital gains for the transferor. There are no tax benefits as per the tax laws; the term ‘transfer’ includes relinquishment, not gift. Note: There is no discount for relatives, nor are there any tax benefits. These types of deeds too are irrevocable.